All dance training acquired under skilled private instructors (gurus) in India for over 16 years. 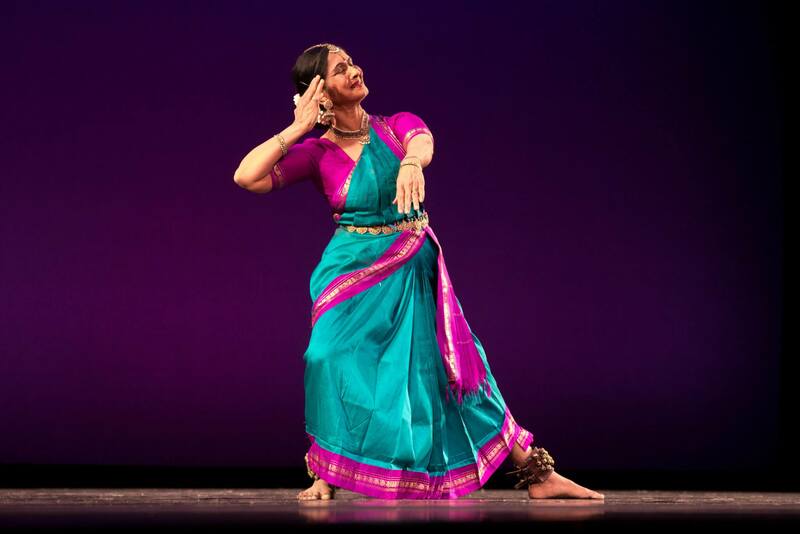 As founder and director of the Abhinaya Dance Company, Mathyli Kumar has trained over 100 students in their solo dance debut recitals or arangetrams. Mathyli Kumar has taught at San Jose State University, Stanford University, and a fall semester course in Indian dance for the past five years at University of California, Santa Cruz. Over 50 solo pieces in the traditional repertoire format with new selections and lyrics. Vande Mataram (Mother - I bow to thee) - (November 1997). Teachers Recognition Certificate from the Natl Assoc. for Advancement in the Arts, 1998.